It’s easy to believe that all this stuff about healthy eating (particularly eating whole plant foods, avoiding processed foods, and addressing the calorie vs nutrient balance) is just one more of the many health fads that come and go with predictable regularity. 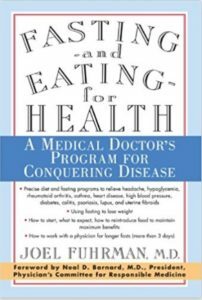 But I would like to mention some historical medical figures, as covered in Dr Fuhrman’s book, Fasting and Eating for Health: A Medical Doctor’s Program For Conquering Disease 1 , to argue that diet and lifestyle medicine have been seen as superior to drug-based medicine for centuries. 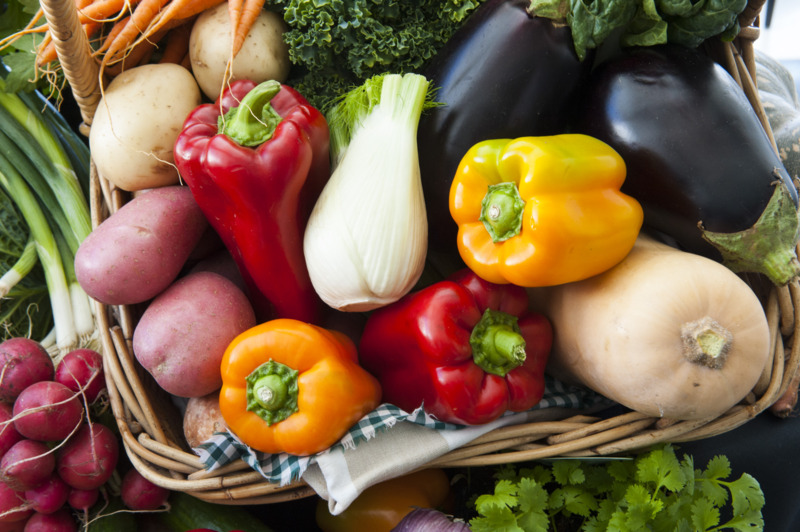 Many historically well-known and successful physicians considered that nutrition was the most critical part of their practice. Everyone’s heard of the ‘Hippocratic oath’ 2 that doctors for centuries would take, basically: “Do No Harm”. 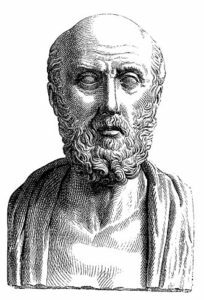 But not so many people realise that as far back as 400 B.C., when the Greek physician Hippocrates was applying his medical skills, he placed nutrition as his chief therapy. Modern medicine, when dealing with non-communicable chronic diseases 4 , introduces toxins (called pharmaceuticals) into the body with the aim of treating the symptoms not the causes of disease. Dr Fuhrman confirms this in relation to his own experience: “In the first pharmacology lecture that I heard in medical school, the physician impressed on us that all drugs are toxic and we should never forget this.” 5 Introducing toxic substances to treat an already-toxic body, just in order to hide the symptoms of this toxicity, is intuitively odd – until you look at the profits that are made from selling pharmaceuticals for all involved in the production, marketing, selling and prescribing of them to people who are sick from their diet and lifestyle rather than from a genetic or biological lack of the particular synthetic chemical administered to them. 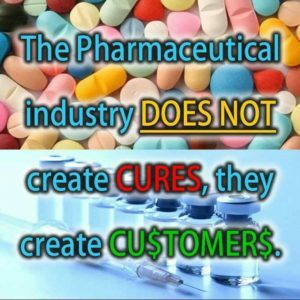 Financial profit and all that this influences within the medical professions is one of the major reasons why the outstanding successes of those doctors who used ‘low-tech’ wholistic 6 cures have been all but ignored by the modern medical community, whose adopted paradigm 7 leads them to base their practices on giving drugs to the sick. 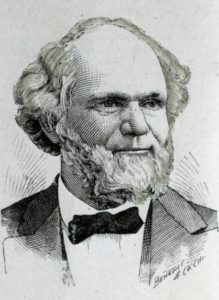 Issac Jennings, M.D. (1788–1874), tried the then-current drugging and bleeding practices of his time, but gradually lost confidence that these procedures and methods were working. He realised, while the rest of his medical colleagues either didn’t realise or didn’t care, that he wasn’t helping his patients much – in fact, they seemed to get much better with fewer drugs. He changed his methods and, rather than giving his patients drugs, he gave them advice on diet and rest and, in order to make them believe that the ‘magic pills’ were still being used, he gave them placebos – pills and liquids he made out of bits of food and water. The result? Diseases disappeared and he become widely famous for his magical ‘medicines’. In fact, he became known as the greatest healer of his day 8 9 . His success was that he harnessed the body’s natural ability to heal itself. 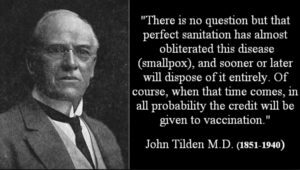 John Tilden, M.D. (1851–1940), was influenced by the likes of Isaac Jennings and believed that nature (including the human body, of course) will return to normal when enervating habits are given up. This might seem intuitively obvious, but it’s simply not advocated by the medical community these days – probably because of increasing ‘political correctness’ where no patient can be told that they are directly responsible for their health, rather than it being some abstract genetically inherited factor over which they have no control. If you’re obese, diabetic, hypertensive and ill, your doctor will generally feel more comfortable telling you to take some pills to deal with the symptoms of the illness rather than telling you to lay off the burgers and deal with the cause. Dr Fuhrman makes it plain 10 that, in his opinion, there are no ‘cures’ to chronic illnesses in the sense generally understood. This can be seen by considering tobacco. If you have lungs and a heart that continue to be affected through smoking tobacco, what’s the remedy? Take a pill? Take a course of cognitive therapy? Cut out any parts of your body that might be or might become diseased? No, of course not. The answer is to stop smoking tobacco. Simple. There’s no ‘cure’ for tobacco smoking. The answer, as with all non-communicable chronic diseases, is to remove the cause. Herbert Shelton, D.C., N.D. (1895–1985), built on the works of the above early medical pioneers. He wrote prolifically from the 1920’s onwards 12 13 14 15 . 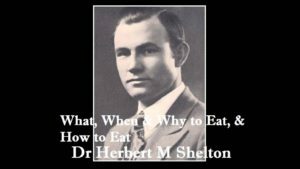 His self-published magazines and his publication of 12 books on the subject of health and healing were an adjunct to Dr Shelton’s Health School in San Antonio, Texas, which improved and restored the health of more than thirty thousand people through fasting and natural food diets. If you’ve been following my blogs recently, you’ll possibly notice that there’s an increasing mention of fasting as a therapeutic measure. This is no accident – I have fasted in the past for up to two days and noticed changes in my body that were largely positive. The more I study the likes of the doctors mentioned above, as well as the likes of Dr Alan Goldhamer 16 and Dr Michael Klaper 17 , the more convinced I am that water fasting is a useful addition to a wholefood plant-based diet and lifestyle. And this is not to mention the enormous (and proven) benefits for those who, unlike me, have chronic diet/lifestyle-related diseases. Interestingly, Dr Fuhrman’s father twice fasted for 21 days, and Dr Fuhrman himself fasted for 46 days! If you want to read about just how amazingly effective this was for his recovery from an ailment that all other medical efforts had failed to remedy, have a look at his book, “Fasting and Eating for Health: A Medical Doctor’s Program For Conquering Disease” which I recommend as essential reading to anyone interested in this subject. There’s a significant increase in animal and human research into the effects of therapeutic water fasting. This is in addition to a huge increase in research about the effects on chronic diseases of making dietary and lifestyle changes. The ideal combination for the chronically ill appears to be a medically supervised water fast (up to around 40 days, if necessary) followed by a lifelong WFPB diet with regular physical exercise. Additionally, it also seems that those already on an optimal WFPB diet can also benefit, in terms of life-expectancy, to opt for periods of water fasting. This is a controversial and pretty scary subject for most of us (although intermittent fasting is gaining ground as a therapeutic method 18 ), so I’ll be covering it in more detail in future blogs, as well as going on an initial 3-day fast myself so that I can speak from some personal experience about its benefits – or horrors! What I can say in advance is that the moon will have to turn to cheese before I try Dr Fuhrman’s 46-day water fast.